Hansmore’s Organic Turmeric has all of the beneficial properties now well known to consumers the world over. Its is a uniquely activated and highly absorbable turmeric formula. The high Turmeric component is enhanced 20 times by the black pepper and is rendered absorbable and available to the cells of the body by the inclusion of MCT (medium chain triglyceride). In addition to its well known benefits, turmeric contains niacin, vitamins C, E and K, potassium, calcium, copper, iron, magnesium and zinc. TURMERIC contains a wide range of antioxidant, antiviral, antibacterial, antifungal, anti-carcinogenic, anti-mutagenic and anti-inflammatory properties. It is also loaded with many healthy nutrients such as protein, dietary fibre, niacin, Vitamin C, Vitamin E, Vitamin K, sodium, potassium, calcium, copper, iron, magnesium and zinc. The anti-inflammatory properties in turmeric are known to provide symptomatic relief of pain associated with joint inflammation, joint mobility and various types’ arthritic complaints. 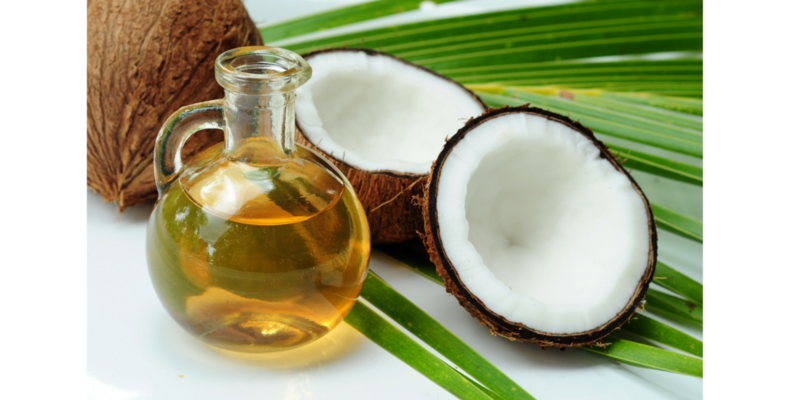 Coconut Oil MCT The “MCT’s” Medium Chain Triglycerides in the coconut oil enhances the absorption and helps to conduct the turmeric/curcumin into the cell wall. That is why it is so important to have essential fatty acids in your food because it is the essential fatty acids that carry the nutrients into the cell. 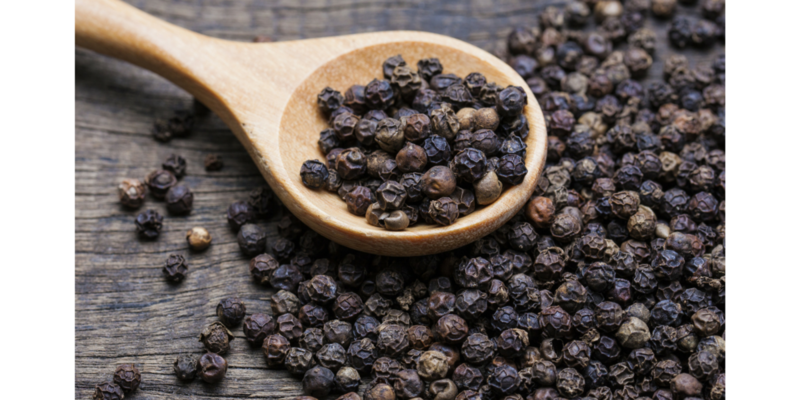 Black Pepper (Piperine) Increases Nutrient Absorption and enhances the bioavailability of various nutrients such as vitamins A and C, selenium, beta-carotene, improving your overall health. Bioavailability refers to the amount of a nutrient or supplement that is absorbed by the body. 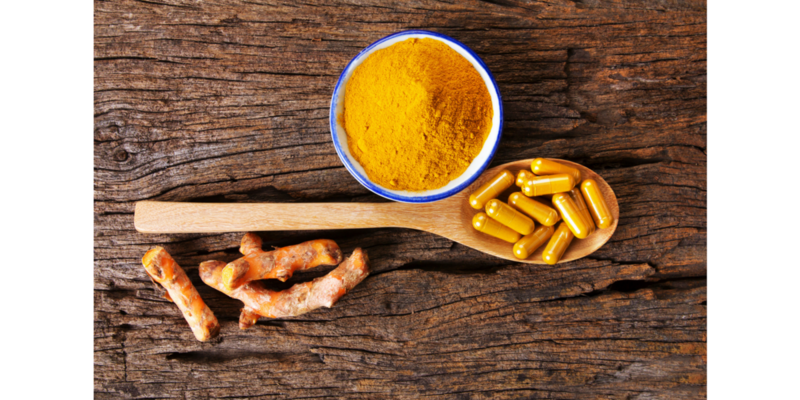 For example, researchers have found that it can increase the bioavailability of the compound curcumin (found in turmeric) twentyfold 2000 times. Tenniece - Dermatitis, joint pain and migranes gone! Listen to Karin's story, 80% of swelling and pain gone in two weeks. 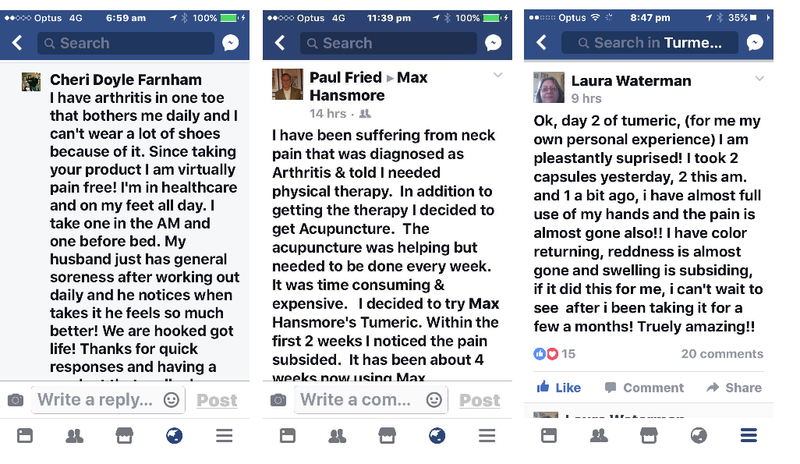 Michelle - Osteoarthritis pain for 10 years, finally relief after only 6 weeks taking Hansmore Organic Turmeric.